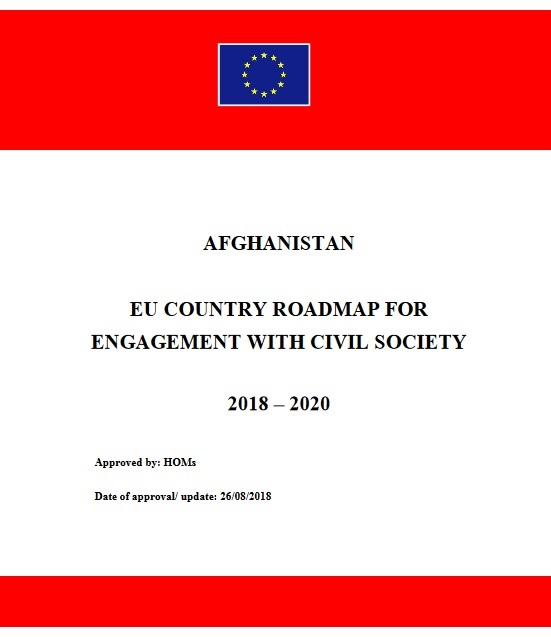 The EU Country Roadmap for Engagement with Civil Society in Afghanistan 2018-2020 is to take stock, assess progress and provide recommendations for the future engagement of the EU Delegation to Afghanistan, Member States and other international actors with civil society organizations in Afghanistan. This Roadmap identifies objectives for the coming years for the EU cooperation with CSOs and actions to be taken in three key areas: enabling environment, structured participation and roles, and capacity. The assessment for the Roadmap was developed through the joint efforts of the EU Delegation in Afghanistan, the British & Irish Agencies Afghanistan Group and Afghanistan Public Policy Research Organization.